RYL: Among the new songs of the album, which is your favorite? NIGHT DEMON: Right now my favorite song is Mastermind. It has a really positive message about taking control of your life and creating yor own destiny. RYL: how do you, usually, write the lyrics of your songs? NIGHT DEMON: The music almost always comes first. At that point I will sit with the music and write a vocal melody over that. Often times we will come up with a theme before hand and go off that. 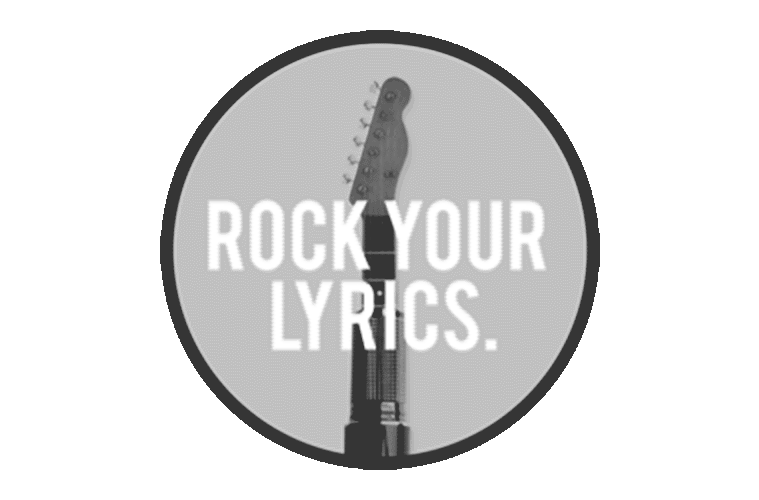 RYL: Which is the best verse you ever wrote? Its coming from the perspective of someone who feels like thay are stuck in the 9-5 rut doing something they don’t want to be doing. The power of music is what gets you through that. You just gotta get out there and be brave and go for it! Be who you were born to be. NIGHT DEMON: The album “Curse of the Damned” was writen as a soundtrack to the upcoming comic book titled “Blood Sacrifice”. This song was written specifically about the first act of the story. Bascially its your classic scene of two lovers parked in a car on a desolate hillside. Making out and trying to get it on. Out of nowhere, a crazy axe murderer appears and does away with them. Many of these images from the comic can be sen in the music video for the song. RYL: Do you remember the day you wrote “Run for your life” ? what inspired its lyrics? NIGHT DEMON: I remember this very well! We were playing a show in Highland Park, Los Angeles at the VFW hall. After our gig, everyone congregated outside for a smoke. Out of nowhere a gunman appeared 10 feet in front of me and opened fire on the crowd. All I saw were big bright flashes and heard loud bangs over and over again. The girl standing next to me was struck in the head with a bullet. As the crowd started to disperse in panic, I garabbed a few people around me and ran as fast as I could. Hence the title “Run For Your Life”. That’s exaclt what we all did! RYL: If we give you 1 $ to spend in music, which song would you buy? NIGHT DEMON: UFO’s calssic title “Love to Love”. It is probably the best song ever written, in my opinion. Its a classic ballad that rocks so hard at the end, you really don’t ever need to hear anything else after that. It has a very nostalgic feel for me, as well. The orchestration and the string arrangement in it is perfect. At the same time, its also one of the heavieset songs I’ve ever heard! RYL: Let’s talk about touring…what’s next and… until today, which was the best show you have done? NIGHT DEMON: We just did a month long run in the states with Skull Fist and Elm Street. Two days after that we flew to Europe to begin our extended Curse of the Damned European tour, which is where we are now. This is a 10 week run of shows all through western Europe. After that we take a few weeks off, then head out for the U.S. Leg of the tour which will run from early may into late July. We are trying to tour Mexico in late September, then come back to Europe in the fall, or maybe even land a support slot in the U.S.
Its hard to day which show has been the best. The band hasn’t been around for too long, so as of now its a tie between the Keep it True festival in Germany last year, and our first headlining show in Cleveland this last winter. North eastern Ohio has really become a hotbed for Night Demon. Many true supporters showed up in the worsrt weather possible on a week night with less than one week’s worth of promotion. The show was great and it really meant a lot to us. RYL: tell us more about “Full Speed Ahead” …. NIGHT DEMON: Both my grandfathers were WWII veterans. I wrote this son about the D-Day invasion of Normandie. Its from the perspective of a young soldier aboard one of those storage container type boats, headed for the beach scared for his life, and having to react quick in order to save it. RYL: Which is the craziest thing you have done as a fan and which is the craziest thing that a fan did for you? NIGHT DEMON: When I was in high school and just got my drivers license, I saved up my money for a while and planned a trip to northern California to go to Metallica’s studio where they were recording what became the Load album. I went up there alone and while it was worth it in the long run, I never did get to meet the band. I slept in my car for two days outside that studio in my 1986 Oldsmobile Merlot Brougham. My mom thought I was staying at a friend’s house for the weekend, so although it was summer time and school was out, I had to head back home so I wouldn’t get busted by my parents. If I had my choice, I would’ve camped out there the entire summer until I met my heroes. Sadly, to this day I have still never met them. However, I did travel to nine shows of theirs on the following tour. The best of those being my aunt from the eastv coast flying me out to New Jersey for my birthday and get me a limo loaded with beer and front row floor seats to see the band. It was glorious and something I will never forget. That band gave me a purpose in life. After seeing it live, I knew what I wanted to do with my life and I have never looked back!